A multi-faceted group of European government representatives, scientists and non-governmental organizations came together to develop an International Species Management Plan (ISMP) for the Northwest/Southwest European population of the Greylag Goose (Anser anser). 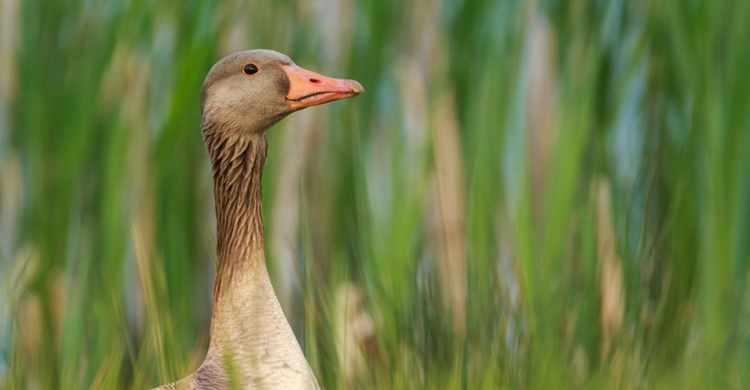 In several European countries, the growing populations of geese are raising concerns about potential damage to agricultural crops, ecosystem impacts, air safety, ecosystem services and health/welfare issues. At the same time, the same populations may also be under threat from habitat loss and human-induced factors. This management plan aims at identifying and undertaking the actions that will maintain the Greylag Goose population in a favourable conservation status while also taking into account the interests and concerns of various stakeholders. The draft ISMP is envisaged to be presented for consideration and adoption by the 7th Session of the Meeting of the Parties to AEWA at the end of 2018, preceded by thorough rounds of consultations. The three-day workshop was organized by the UNEP/AEWA Secretariat and the European Institute for the Management of Wild Birds and their Habitats (OMPO) and was hosted and made possible thanks to the generous financial contribution from the Government of France, through the Ministry for the Ecological and Inclusive Transition (MTES). The event took place at the premises of the Fondation François Sommer, where the workshop participants were warmly welcomed. For more information please contact the Coordinator of the European Goose Management Platform, Ms. Eva Meyers.